Indeed. I wonder what battle he went through to get that survivor badge. 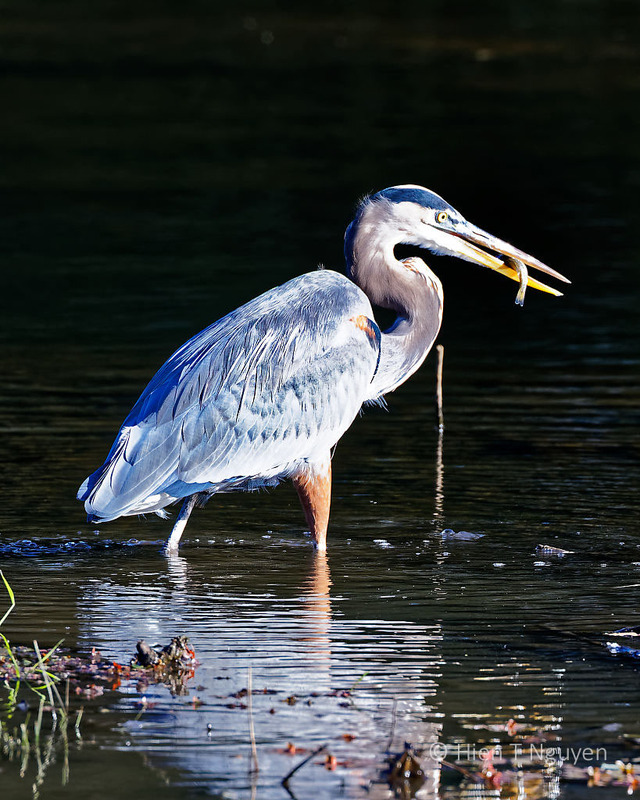 Your blue heron photos are fabulous! I’m not a great fan of herons since a local one ate our Koi, but these are magnificent! I hadn’t realised any squirrels hibernated, the ones here don’t. They do collect food but I think it’s just to tide them over the winter and to find the food again in the spring. Oh my, GBH ate your Koi fish! I stand corrected on squirrels not hibernating. You are right, they don’t. They just like to stay warm inside their dens. That’s why in the deep of winter I seldom see them. 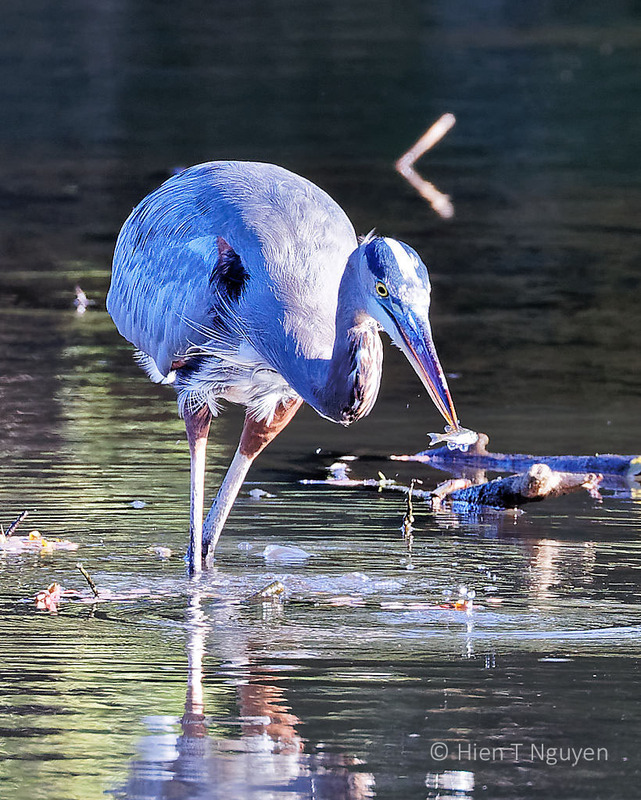 Probably wasn’t a blue heron, not sure if we have them here – certain some type of heron. Thanks, I’ll have a look tomorrow. Thank you very much Mohammad! I don’t often see a squirrel here where I live! They look so cute! That one especially, with its ear bearing the scars of some fight. My father is known as Hank. His real name is Henry but was given that nickname when he was a child by American soldiers stationed in Wales during WW2. What a coincidence! 🙂 Hank deserves respect and TLC. I wish I could be that good! Thanks Amy! Glad you like the photos, Sid! 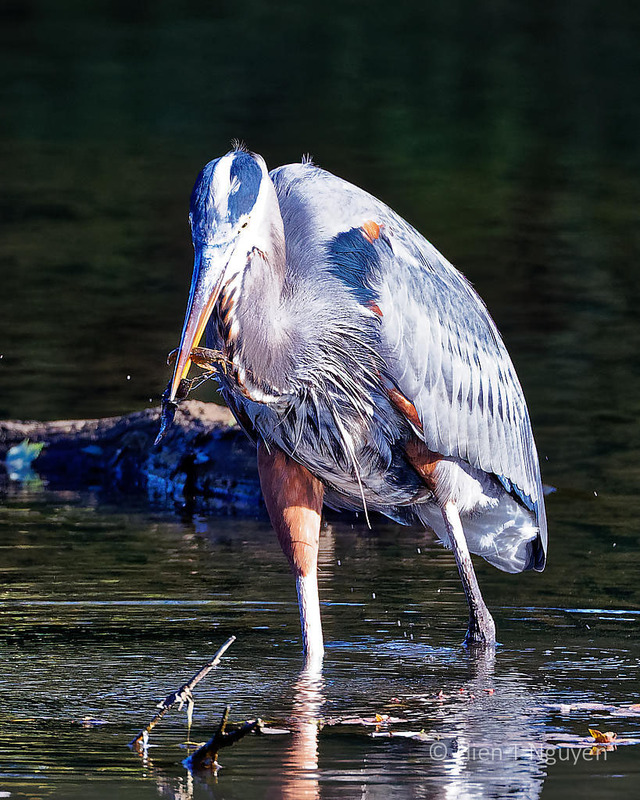 I was there and almost every time his head was out of the water there was a fish in its bill. There were humans fishing nearby with no such luck, or skill. 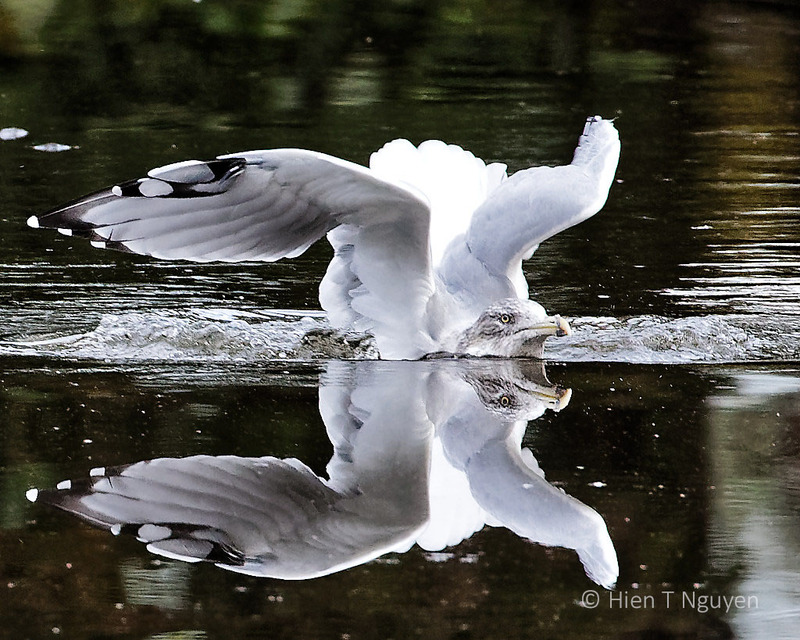 The image of the waterborne gull would be a contender in any prestigious wildlife photographic competition, Hien! 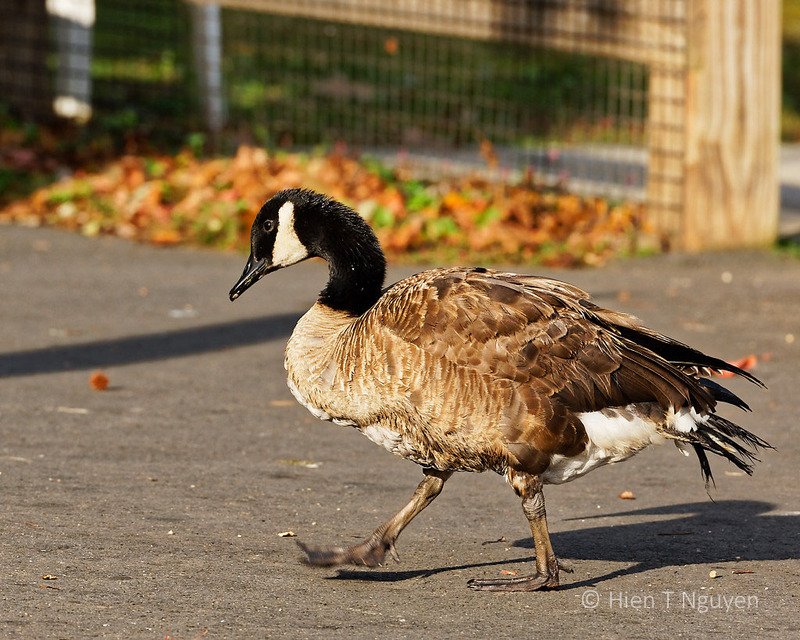 Your pictures are outstanding, Hien! The one of the gull I gasped for what I was seeing. Photographing wildlife I KNOW what it takes to get pictures like these! 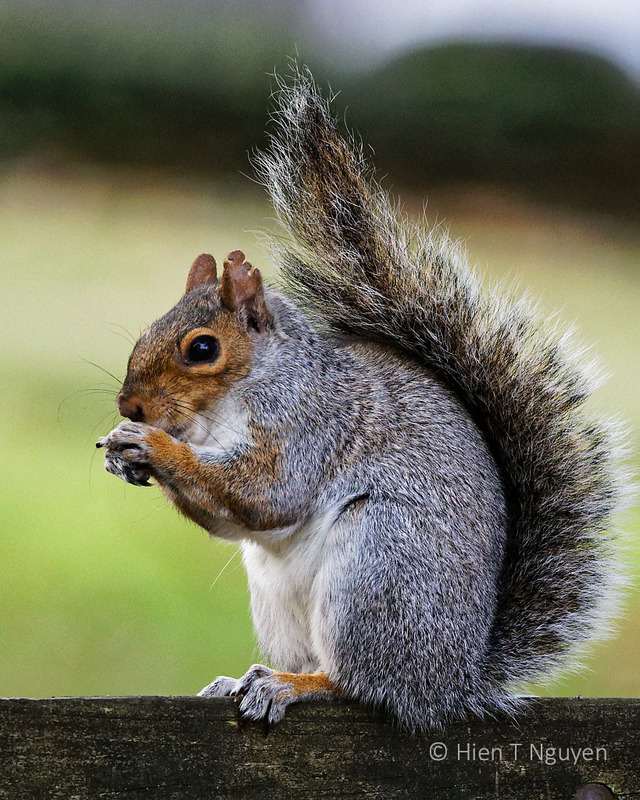 And as for that squirrel …. his poor ear looks like he tangled with someone. You need to be very proud of yourself for what you have achieved with these images!! Sometimes you just have to be at the right time and right place. Thank you Amy for commenting! The squirrel’s ear looks like he got in a squabble at some point. Great images, Hien. The gull is superb… Contest-worthy. Have you ever entered any of your images? I think your photos are just great! Thanks Helen! Like they say in sports, that Ring-billed Gull nailed it! 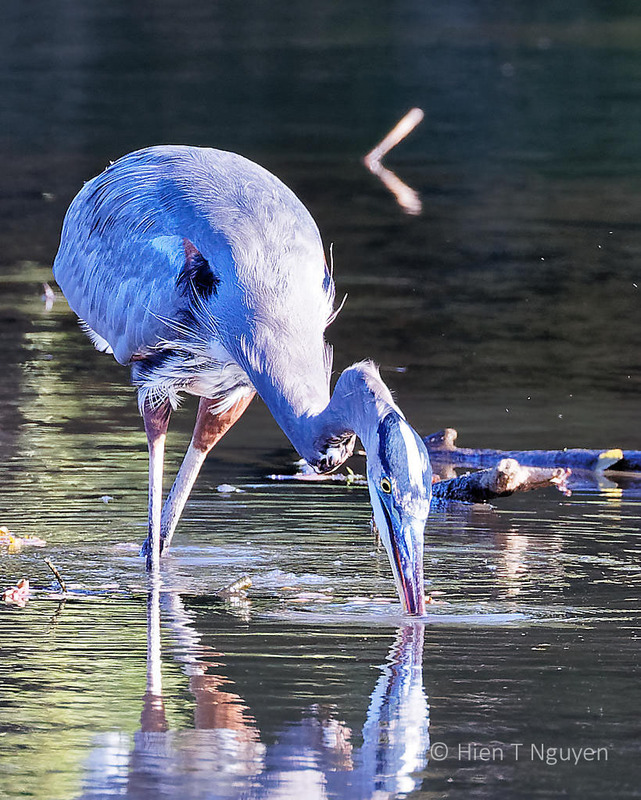 The photos of the blue heron are wonderful–the color….!! The seagull photo is my favorite. Hien–it is perfect! Excellent shots! 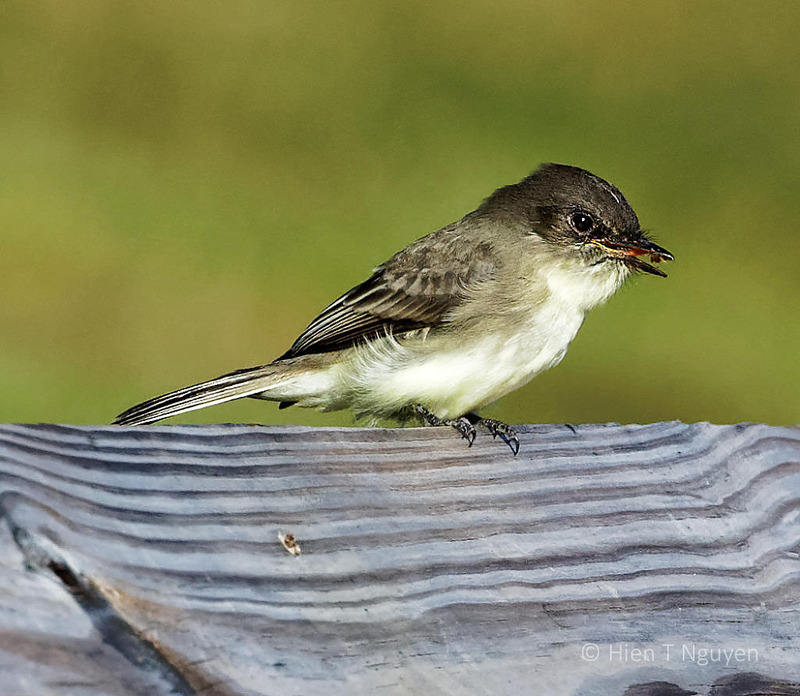 I especially like the little Eastern Phoebe and the squirrel with the ragged ear. Thank you Sue! That ear is like one a pirate would sport. Glad you like the photos, Takami! Loved the reflection of the gull off the water as it landed, but all these images are excellent! One thing about the low sun angle in the fall, if you have sunlight, you have good lighting for more of the day, as your images show. I had never thought about that low sun angle, now that you mention it. You are right, of course! Thank you Jerry!